« Stop The Gay Bullying! Today sure felt like that confused time of year when summer is fading fast and winter is looming. It was humid, kind of tropical feeling today. 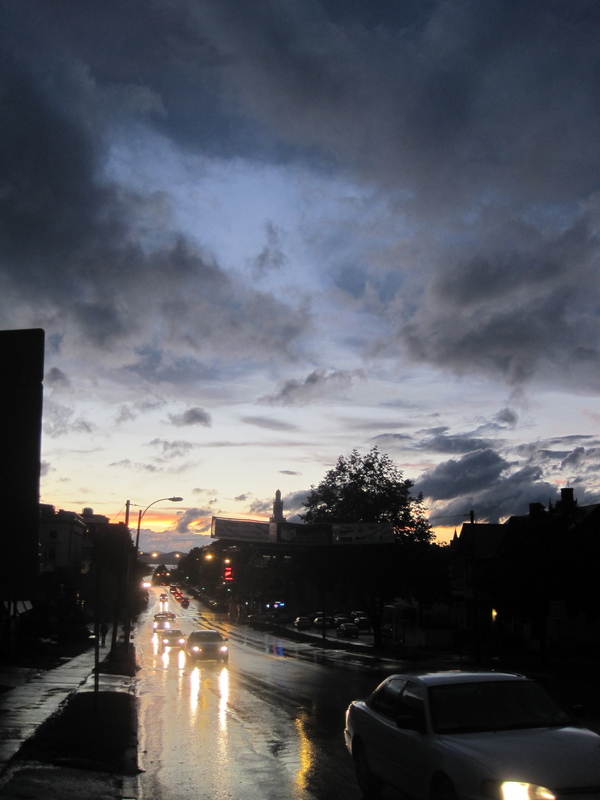 A quick summery downpour punctuated the downtown Burlington evening. As the skies cleared just past sunset, it stayed warm, but the sky and the wet surroundings took on that ominous, coldly blue light of early winter. 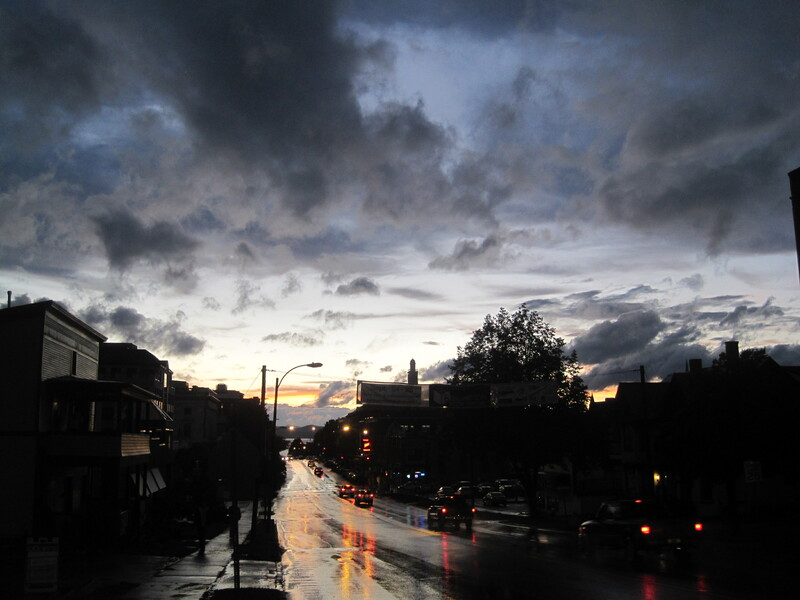 I was in shirtsleeve and comfortable when I took the photos of the wet surroundings and clearing skies Tuesday evening. Nevertheless, I wanted to wrap myself up in fleece and down, just to get used to the feeling of hunkering down against winter. This entry was posted on September 29, 2010 at 1:49 am and is filed under Uncategorized. You can follow any responses to this entry through the RSS 2.0 feed. You can leave a response, or trackback from your own site.